Paralympians using wheelchairs built by OX Engineering, a small company in the city of Chiba, have won a total of 122 medals since 1996—making them the gold medal champion among Japan's main manufacturers. Since Tokyo won the bid to host the 2020 Olympics and Paralympics, orders have flown in, increasing by around a fifth every year. The firm now makes about 500 sports wheelchairs a year for athletes from 21 countries. "We have the technology to make a wheelchair fit perfectly for each athlete and to help them perform at their best," company president Katsuyuki Ishii told AFP. OX Engineering was founded in 1988 by Ishii's father Shigeyuki who used to sell motorbikes until his life was turned upside down by injury. Road-testing a new bike, he had an accident that caused spinal injuries and left him paralysed. He tried out several wheelchairs and, unable to find a suitable one, finally decided to create his own model. "My father wanted a wheelchair with a cool design like a motorbike but there was nothing like that around at the time," Ishii said. "Then he decided to make one himself." Manufacturing sports wheelchairs is high-precision work—they have to be specially designed for speed and agility, depending on the sport. Tennis wheelchairs, for instance, have two large, angled wheels for stability in quick turns, with two casters wheels at the front and one at the back. Racing wheelchairs, on the other hand, look completely different, with two large rear wheels and one small front wheel connected by a long shaft. 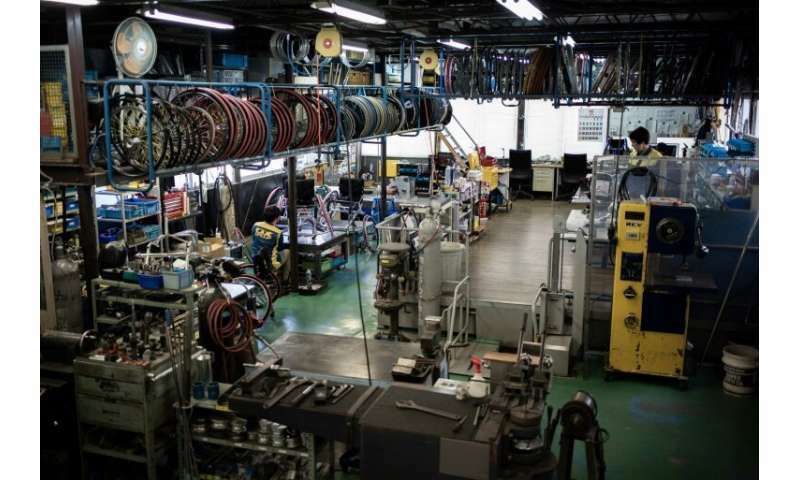 The detailed process of designing and manufacturing wheelchairs at OX Engineering remains top secret, but one of the ways the company pioneered to enhance athletes' performance was to boost the durability of the vehicle. Over the years, the company has refined the shape of their pipes to strengthen the equipment. The ability to create personalised equipment is also key, said Ishii. "Each athlete has a different body shape and type of disability. They all play and race differently." "The way the pipes are shaped, the way parts are assembled... everything is tailored" precisely to each athlete, Ishii said. Shingo Kunieda, who has won 26 Grand Slam tennis titles and three Paralympic gold medals, said a wheelchair must "feel like a part of the athlete's body." "My wheelchair is my feet. So changing a wheelchair is like replacing my feet," the 35-year-old Japanese star told AFP. "A wheelchair is made delicately. We feel something is wrong even with a millimetre change," he said. It is not the lightness of the equipment that counts but the stability, he explained. "What I like about my wheelchair is that I have full control of it." For Masayuki Higuchi, a middle-distance athlete who competed at the 2016 Rio Paralympics, the most important aspect of the wheelchair is "stability at high speed." "We race at a speed of more than 35 kilometres per hour, so it's important to have stability when cornering in a group," said the 40-year-old, who started working with OX Engineering three years ago. As athletes compete for gold on the track, so wheelchair companies are forever trying to outdo each other with cutting-edge technology. At Rio, US athletes used what auto giant BMW claimed was "the world's fastest wheelchair". The machine, created by BMW's California-based firm Designworks and individually customised, was made from carbon fibre, making it lighter and more shock-absorbent—but also much more expensive. "Such a wheelchair could cost 3 million yen ($28,000). An ordinary athlete can never afford that," Higuchi said. His own wheelchair costs more than 800,000 yen as it also contains carbon fibre. Higuchi stressed the need to keep costs down to expand the popularity of Paralympic sport. "If we cannot win without such wheelchairs, only a handful of athletes will be able to compete," he said. 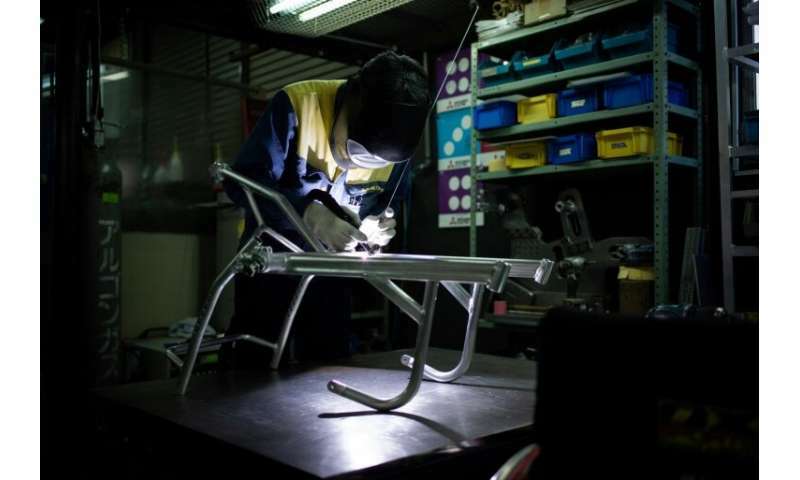 OX Engineering strives to keep costs down as much as possible—between 200,000 and 500,000 yen. 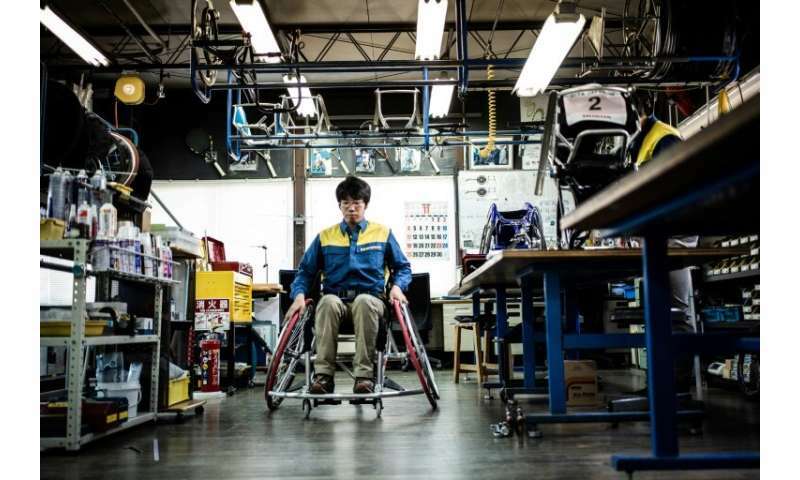 "It's not very profitable... but our mission is to provide wheelchairs ordinary people can buy," said Ishii, adding that he wanted the best for Japanese Paralympians as they competing on home turf. "We know they want to win no matter what. So our job is to help improve their performance" with the wheelchair, he said. "My goal is to win gold in Tokyo," Paralympian Kunieda said. "There's pressure, definitely, because it'll be held in my home country. But I want to use this opportunity to show to more people how fun wheelchair tennis is."